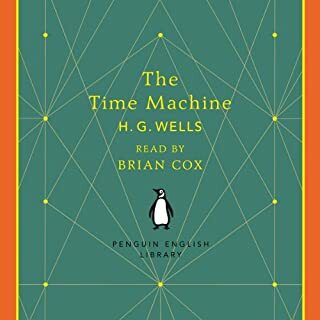 Penguin Classics presents H. G. Wells' The Time Machine, adapted for audio and now available as a digital download as part of the Penguin English Library series. Read by the actor Brian Cox. 'Great shapes like big machines rose out of the dimness, and cast grotesque black shadows, in which dim spectral Morlocks sheltered from the glare'. Ray Bradbury brings wonders alive. For this peerless American storyteller, the most bewitching force in the universe is human nature. In these 18 startling tales unfolding across a canvas of tattooed skin, living cities take their vengeance, technology awakens the most primal natural instincts, and dreams are carried aloft in junkyard rockets. Provocative and powerful, The Illustrated Man is a kaleidoscopic blending of magic, imagination, and truth. On a voyage toward the boundaries of the known universe, nine misfit academics seek out first contact with a shadowy alien race. But another enigma is the Nightflyer itself, a cybernetic wonder with an elusive captain no one has ever seen in the flesh. 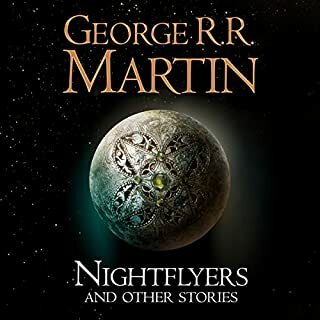 Soon, however, the crew discovers that their greatest mystery - and most dangerous threat - is an unexpected force wielding a thirst for blood and terror.... Also included are five additional classic George R. R. Martin tales of science fiction that explore the breadth of technology and the dark corners of the human mind. One moment a man sits on a suburban hill, gazing curiously at the stars. The next, he is whirling through the firmament, and perhaps the most remarkable of all science fiction journeys has begun. 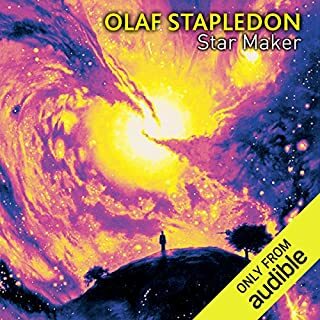 Even Stapledon's other great work, 'Last and First Men' pales in ambition next to 'Star Maker' which presents nothing less than an entire imagined history of life in the universe, encompassing billions of years. Cat's Cradle is Kurt Vonnegut's satirical commentary on modern man and his madness. 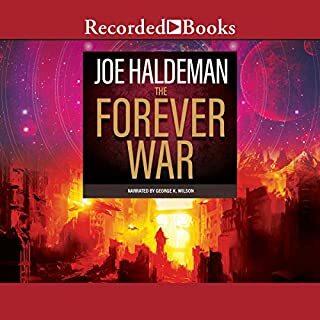 An apocalyptic tale of this planet's ultimate fate, it features a midget as the protagonist; a complete, original theology created by a calypso singer; and a vision of the future that is at once blackly fatalistic and hilariously funny. 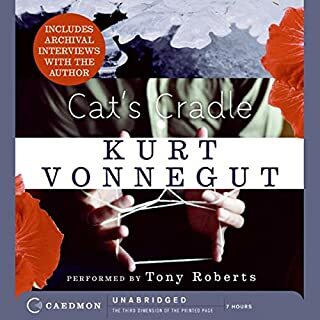 A book that left an indelible mark on an entire generation of readers, Cat's Cradle is one of this century's most important works...and Vonnegut at his very best. Mars was a distant shore, and the men spread upon it in wave.... Each wave different, and each wave stronger. Ray Bradbury is a storyteller without peer, a poet of the possible, and, indisputably, one of America's most beloved authors. In a much-celebrated literary career that has spanned six decades, he has produced an astonishing body of work: unforgettable novels, including Fahrenheit 451 and Something Wicked This Way Comes; essays, theatrical works, screenplays and teleplays; The Illustrated Mein, Dandelion Wine, The October Country, and numerous other superb short story collections. But of all the dazzling stars in the vast Bradbury universe, none shines more luminous than these masterful chronicles of Earth's settlement of the fourth world from the sun. Ray Bradbury's The Martian Chronicles is a classic work of 20th-century literature whose extraordinary power and imagination remain undimmed by time's passage. 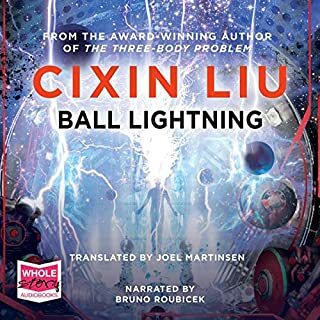 In connected, chronological stories, a true grandmaster once again enthralls, delights, and challenges us with his vision and his heart - starkly and stunningly exposing in brilliant spacelight our strength, our weakness, our folly, and our poignant humanity on a strange and breathtaking world where humanity does not belong. 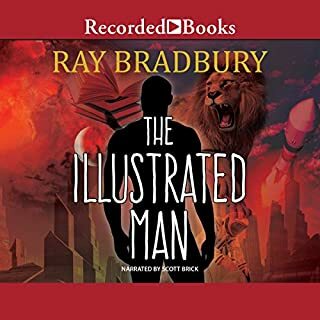 ©1945, 1946, 1948, 1949, 1950, 1972, 1974, 1975, 1976, 1977 Ray Bradbury (P)2014 Audible Inc. The Martian Chronicles is a classic for a reason. In recent years editors have monkeyed with the stories, changing the timeline of the story and removing some stories/adding others. This is the original lineup, with a great narrator. You should be aware, though, that most of the core stories were written in different years and published in pulp magazines first, and not in the order they appear in the book. This leads to little inconsistencies that are bothersome if you try to view the stories as a coherent whole. Instead, you should think of each story as happening in a slightly different dimension from the last one. Appreciate the stories on their own and don't get hung up on little differences. 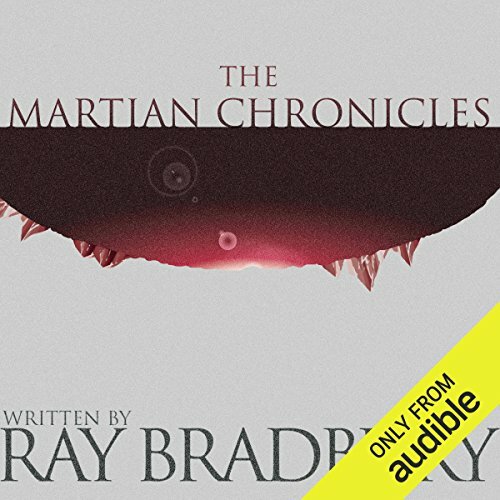 The Martian Chronicles is a collection of short stories that are beautifully woven together to make for a haunting read. The over-arching story takes place in the future when earth is amidst chaos and nuclear war is about to erupt. Earth men make many expeditions to the red planet to escape and search for life. You'll have to listen to find out what happens when they get there. 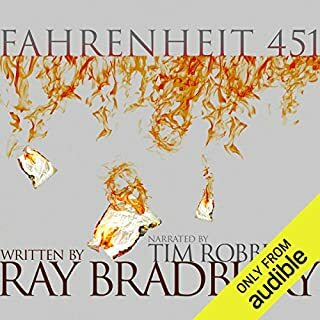 I would only recommend this audiobook to fellow Ray Bradbury fans. He is not everyone's cup of tea because he is more of a short story writer. 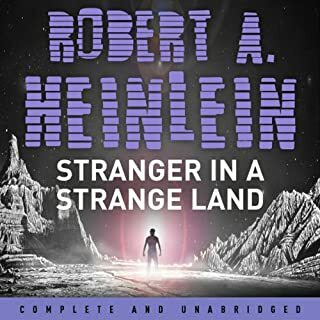 He wove these martian stories together to tell a compelling collection of stories within an overall narrative arc. What was one of the most memorable moments of The Martian Chronicles? My two favorite stories were "Way in the Middle of the Air" when blacks fled the South for Mars and "Usher II," Bradbury's ode and tribute to Poe's story "The House of Usher." Bradbury showed he was at the top of his game in creativity and insight into human behavior. The two aforementioned stories were my favorite scenes. Yes, this book made me laugh at many points, but what struck me was the poetry of Bradbury's prose. He is a beautiful, passionate writer. His prose is vivid and feels like a long prose poem. Mark Boyett does a masterful job at performing all of these characters, both human and Martian. I can see and hear them. I had the great pleasure to meet Bradbury at book signings in Los Angeles. He was my favorite writer as a teen, and I still love him. Thank you, Ray, for sharing your passion and for giving us the gift of your stories. Dated, yet timeless; beautifully narrated. I was almost disappointed when it ended. I want to somehow know more. The story dealing with the character "Spender" and the story dealing with Edgar Allen Poe were worthy of this book being deemed a modern classic. The other stories were hit and miss, though Mark Boyett's excellent narration made them entertaining. 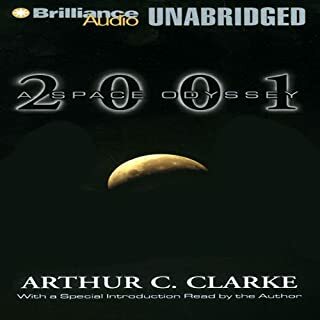 As the title suggests, this is not one story, but a series of stories throughout the early human colonization of Mars. Some of the tales are loosely linked, whereas others are stand-alone short stories that happen to take place in the setting of the book. 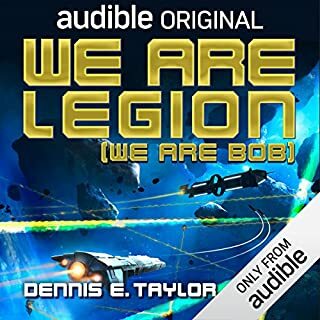 A great read/listen for any sci-fi fan or simply a fan of good literature. Absolutely worth it. Some of these stories are real jaw droppers. Can't get enough Bradbury for sure. Got this after listening to The Illustrated Man - also highly recommend. 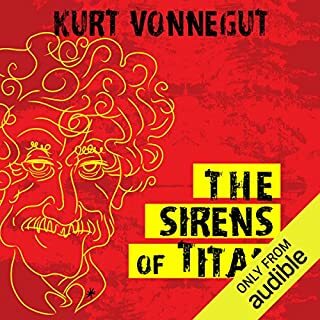 I enjoyed the narration immensely and will listen to it often. Highly recommended for all ages. Like so many classics we should have read in school, Ray Bradbury’s fantastic portrait of an alien world is a welcome discovery, even now. Most of its 28 episodes were published earlier, in science fiction magazines, and a few were created for the book in 1950. The stories are original and intriguing, but together they paint a gloomy picture of colonization in which humankind can’t settle in a new place without changing it to seem familiar. One rocket crosses the expanses of space loaded with lumber to build houses just like the ones back home. As someone who happens to live abroad, it made me squirm. Kudos to Mark Boyett for a smart, expressive narration. He embraces fascinating characters and plot twists, and breathes life into a brilliant but slightly stilted midcentury writing style. I have always loved Bradbury's work. 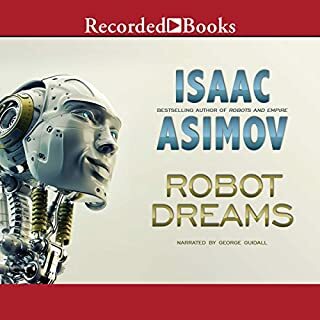 Mark Boyett does a great job narrating this book, and I think his voice made me fall in love with the stories all over again. If you are a Bradbury fan, you won't be disappointed with this! Not what I expected... so much more! I really enjoyed this book. It wasn't at all what I expected but I couldn't put it down, usually I only listen to audio books at night when going to sleep, but this one was listened to in the car, in the bath, while shopping etc... and I rewound bits I'd slept during which I don't usually worry about... the book itself is like a collection of short, interconnected stories all about settlers on Mars and they're just a compelling listen. 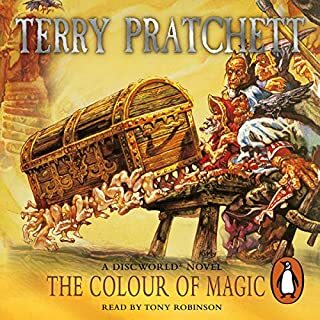 The narrator is excellent and I shall be looking for more of his work, his male voices are manly and female voices very believable and her has a pleasant killing tone that was perfect for this book. Relevant today as it was 70 years ago. Such a beautiful and sad book, wonderfully read by Mark Boyett. More than ever its message is relevant: humanity on course for destroying whatever it encounters, including itself. My familiarity with Ray Bradbury was as a short story writer, and this is another such collection, essentially. There is the overall theme of Earth-born Americans going to Mars and living there, but hardly any recurring characters. Bradbury is good at this sort of thing, of course, and it makes dipping in and out very easy. This isn't a space opera story full of big spaceships and lots of action. Far from it. The narrator, Mark Boyett (new to me), performs well in that manner you may know from Twilight Zone or Outer Limits. There is no need of a range of different voices. 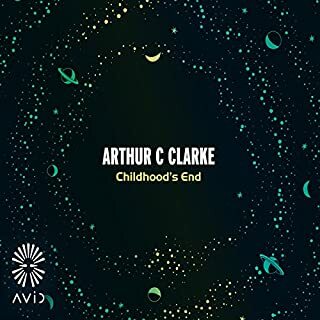 He does what he needs to do with those tones that promise warm and pleasant while somehow always having an underlying note of beware as there will be a twist or turn shortly. 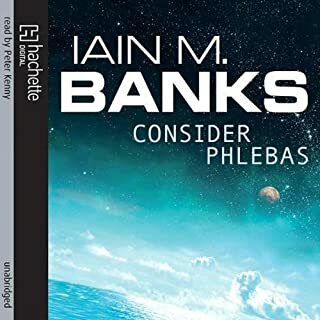 I'm not sure what the Audible Studio note on this implies. It's a good solid production, but doesn't offer any of the star actors that various of their offerings of late have had. It doesn't bring anything startlingly new to the telling of Bradbury's tales, it didn't have to. If you enjoy Bradbury, you'll likely enjoy this. Will be just as thought provoking and powerful years from now - If we last thst long. It’s not about Mars, is it? I’ve recently read Fahrenheit 451 and found it so relevant to what is happening in the world today, it quite took my breath away. And this is the same - the destruction of habitats; the contempt for all things ‘other’. The fear, the complacency - it’s not an easy read and yet it’s beautiful and allusive and sometimes sry and funny. He’s a prophet and a poet. 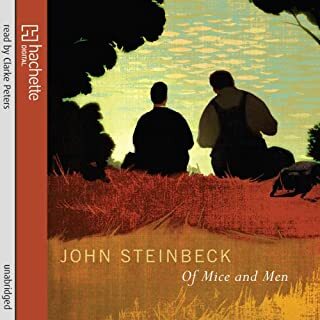 The narrator was good - an almost nostalgic sense of character in his range of voices and expressions. Waited for so very many years for the Martian Chronicles, the wait was justified . Thank you. Thought this was really god considering when this was first written. Taiko me away to another world! Struggled to finish the book. Gave up with three hours remaining. Extremely confusing story and lost interest quite early into the book. Battled through most but in the end the boredom got to me! Dumb story, dated and without saying racist with religions overtones, definitely of its time. 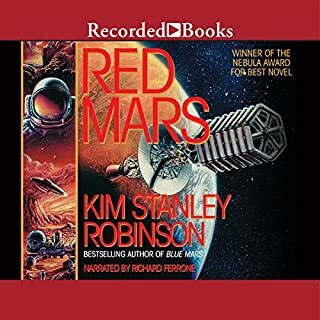 I thought it would be similar to the mars trilogy by Kim Stanley Robinson but I was unpleasantly surprised.